Introverts Can Use Their Inborn Traits to be Masterful Presenters < Presenting Yourself and more . 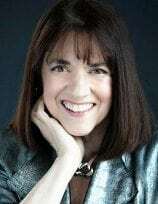 . .
An interview with Patricia Weber, author and consultant, who advises introverts on how to leverage their strengths. How do introverts and extroverts differ in presentation style? The primary trait that characterizes an introvert from an extrovert is personal energy. An introvert tends to get more mental or even physical energy from what I call the “playground of his or her mind.” Introspection, rather than what is going on around them, is what charges them. 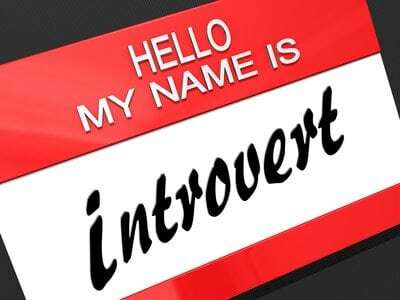 An introvert is not: shy, anti-social or aloof and is anything but self-centered. Extroverts are energized by everything around them so being in front of an audience likely starts them off with a natural charge. Introverts have to manage their personal energy through the process of introspection, from the inside out. What strengths do introverts bring to a presentation? Preparation. Have you as an audience member ever thought well of an unprepared presenter? Introverts tend to have an innate quality of being prepared. Good Listening skills. Introverts naturally have more opportunities to listen. They tend to listen and self-disclose later. Avoidance of small talk. Introverts are not people who normally like to chitchat. They are more focused at getting to the heart of the conversation. While they might need to master small talk for networking events or meeting people at a social event, they need to keep in mind that the audience is there to listen and absorb key messages. How can introverts use those strengths to make presentations more powerful? Here are some specific tips for introverts. Practice (not memorization) is your best preparation. Audio or video record your presentation. Then listen to your voice for pauses (yes they are acceptable and, actually are necessary), filler words (drop those ums, ahs, ya’ knows), tone of voice, intonation, inflection and pronunciation. If you use a video recording, watch for body language, gestures, and personal energy. When it comes to presenting, you are the message, not your slide show. Listen more. By listening more, introverts use both auditory and visual clues of the audience to adapt and tweak what they have prepared and practiced. There might be a side conversation in the audience that needs to be managed. Or perhaps, there will be looks of confusion on several faces in your audience at something you just said. Time to clarify! The key is to be a good listener both to verbal and nonverbal language. Bring in your mastery of one-to-one conversations. When introverts have one-to-one conversations, they are focused, ask questions and engage deeper and wider. The audience wants to know you are focused on them and delivering the message promised. Now, just master how to speak to a group as if you’re having a one-on-one conversation. Being thoroughly prepared, focusing on others and speaking similarly to how you would one-to-one will give you a strong foundation for a successful presentation. How can introverts conserve their energy in an uncomfortable speaking situation? Conserving energy is a matter of preparation and introspection, and every introvert has these easily at their disposal. If your presentation is scheduled in advance, plan activities before the event to conserve your energy – such as reading or going for a walk. Presenting takes energy. The key before a presentation is to avoid putting yourself in situations like networking, events and parties that are more stressful for introverts. Make sure to take advantage of presentation breaks. Find a quiet place, even a restroom will do. Use the break and make it work for you in conserving your energy. What can help introverts to manage their fears? First, define your fear. Is it fear of failure? Is past failure bringing up this anxiety? Maybe you fear rejection from the participants in the audience. Maybe you’re suffering from “comparitis” – comparing yourself to other presenters and you believe you come up short. It could be any number of fears. Know what yours are so that you can manage them. Once your actual presentation fear is defined, notice your inner talk about it. Introverts will likely find this a little easier because they spend a lot of time in their own heads. Step two, identify what your fear is saying to you. Maybe it’s fear of rejection. Introverts may say to themselves things like, “People are not going to like me,” or “My co-workers aren’t going to like my message,” or “I’ve got to give a perfect performance.” By naming their fears, introverts can make step three work well for them. Step Three, replace this inner negative talk with more positive thoughts. Ethan Kross and Ozlem Ayduck and others published research in The Journal of Personality and Social Psychology about the language people use to refer to themselves during social stress. Find your fear. Name it. Then talk to yourself in the second or third person before you have to get on the platform. Sometimes it’s the smallest shifts that can help relieve the social stress of giving a presentation. Simply because extroverts are more energized by other people does not equate to them being better presenters than introverts. For both introverts and extroverts, being true to your nature is the key to delivering a winning presentation. Since 2007 Patricia Weber has been recognized internationally on radio and in print, for many things introvert. Followers of her blog regularly comment that her messages both resonate with them, and inspire them. She has been featured in publications such as Entrepreneur, Training, and The Wall Street Journal. Her current book, Communication Toolkit for Introverts: Find your voice in everyday business situations, is for introverts who want practical tools to navigate the workplace. She supports introverts with her speaking, coaching and books. « What Does it Mean to be “Presidential”?